Viva Films proudly offers this highly anticipated historical-biographical film that would surely entice not only the Iglesia ni Cristo (INC) members but also anyone else interested to get to know more about Felix Manalo and the gospel he preached as the religious movement’s first ever Executive Minister. The dramatic and inspirational plot is mainly about the religious journey of Felix Ysagun Manalo, the person believed by the members as the “Sugo” or the Last Messenger of God, along with the origins and struggles of the INC church. One of today’s most brilliant actors, Dennis Trillo plays the lead role. 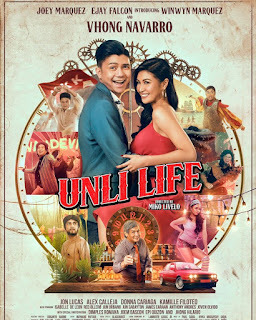 He is joined by other renowned dramatic actors such as Bella Padilla, Gabby Concepcion, Eddie Gutierrez, Lorna Tolentino, Heart Evangelista, Tonton Gutierrez, Joel Torre, Bembol Roco, Philip Salvador, Alice Dixson, Jaclyn Jose, Snooky Serna, Sheryl Cruz, Mylene Dizon, Lloyd Samartino, Ricardo Cepeda, Dexter Doria, Jaime Fabregas, Yul Servo, Elizabeth Oropesa, Richard Yap, Glydel Mercado, Gladys Reyes, Andrea del Rosario, Raymond Bagatsing, Christian Vasquez, Rey Abellana, Wendell Ramos, Antonio Aquitania, Joem Bascon, Alfred Vargas, Carla Humpries, Mon Confiado, Roxanne Barcelo, Ryan Eigenmann, TJ Trinidad, Ejay Falcon, Regine Angeles, Arci Muñoz, Ruru Madrid, Christopher Roxas, AJ Muhlach, and many more. This powerhouse cast is heavily boosted by some of the prominent names in the Philippine film industry, including Joel Lamangan (Director), Bienvenido Santiago (Writer), Von de Guzman (Music), and Rody Lacap (Cinematography). 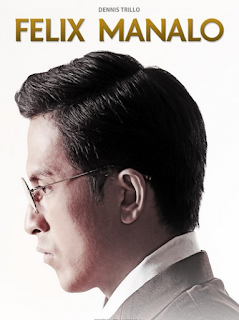 After the movie’s record-breaking premiere release held last October 4, 2015 at the Philippine Arena (where it was claimed to have broke the record for the largest audience both in a film premiere and in a film screening), “Felix Manalo” will be shown in theaters nationwide on October 7, 2015 with a total running time of 176 minutes. In addition to that, the full-version of the movie, which runs a total of almost 6 hours, will be released in DVD copies soon.